Sure, Conference USA isn’t one of the big fish conferences and arguably isn’t even the most watched of the smaller conferences. But there’s still exciting football to be found in here and, more importantly, money to be made. Here’s how I think it will play out in 2010. The West bears watching as two thirds of the teams there have a shot at the division. UCF is probably the class of this group, sporting the conference’s best defense. UCF actually ranked fourth in the nation in run defense and its secondary is becoming more experienced by the day. Southern Miss really intrigues me. While it returns just three offensive starters, it has an elite, NFL-caliber talent at receiver in DeAndre Brown. Maybe Austin Davis can develop a rapport with him? UAB, Conference USA’s top rushing team, has boom/bust potential. If it can continue playing underrated defense, led by Marvin Burdette, it could steal the West. Marshall can’t be counted out either, as its new up-tempo offense could do some damage. But I don’t like the schedule. Ohio State on the road? West Virginia? Eek. 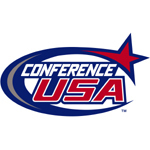 Conference USA East is full of flawed, one-dimensional teams, so we have to take notice when a rare team shows balance. SMU was fifth in offense and sixth in defense in the conference last year. Under June Jones and the Run and Shoot offense, SMU shouldn’t have too much trouble winning the East. Some bettors will tout Houston instead. After all, it’s the country’s highest scoring team. But it doesn’t know how to play that little thing called “defense.” 115th in the nation last year and returning five starters. Let’s move on. UTEP could fall flat on its face but I see some potential there. Almost all its starters return, meaning Donald Buckram (great name) could really break out in the running game. The big question for the Miners, of course, is whether or not their “D” can improve. It allowed 33.5 points per game a year ago. Tulsa looks like a safer pick than UTEP but I don’t see the same upside offensively. Who are the big playmakers? Conference USA West champion: UCF. Sure, it will face some good offenses, but not major-conference good. It’s up to the task. Conference USA East champion: SMU. Average across the board equals good enough given the competition. You’re aware you got the divisions mixed up, right? Other than that, I couldn’t agree with you more. Go Knights…thanks for the catch. Simple typo…Best of luck to your team this year.